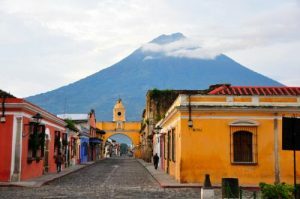 The 26th Ibero-American Summit of Heads of State and Government (La Antigua, Guatemala, 15-16 November) concluded with a high-level political declaration on sustainable development in which tourism plays a key supporting role. The commitment, which includes the World Tourism Organization (UNWTO), marks the first time the tourism sector has been featured in a top-level multilateral cooperation agenda. Ibero-American presidents and heads of state have mandated the Ibero-American General Secretariat (SEGIB) with introducing tourism in the development cooperation portfolio of its 22 member states, all of which are also UNWTO Member States. In the ‘La Antigua Action Programme for Ibero-American Cooperation’, the mandate from heads of state and government specifically calls on SEGIB to closely coordinate its future work around tourism with UNWTO. Both organizations are asked to collaborate on initiatives to promote sustainable tourism that can impact on development, partnering with key actors of the United Nations’ 2030 Agenda for Sustainable Development. This accord is unprecedented for its inclusion of tourism in an international multilateral action plan for cooperation. The commitment includes tourism and the economy together as one issue area, urging states to prioritize public policies for developing and managing sustainable and responsible tourism to boost competitiveness. A first contribution of UNWTO has been the publication “The Contribution of Tourism to the Sustainable Development Goals in Ibero-America“, produced on the occasion of the First Ibero-American Conference of Ministers of Economy and Tourism held in September, and leading up to Summit of Presidents and Heads of State. This advance has the potential to give tourism a deservedly strong voice at the highest political and policy levels, adding value to economies and complementing UNWTO’s work with its members and partners across and beyond Ibero-American states.